On the next page of Bell's book "Bass Families of the South" is a curious note. Apparently he stuck note at bottom of page because there was room left. I sincerely regret the disorderly manner in which these odd bits and pieces of information had to be presented. Return trips to some courthouses, etc., sometimes resulted in the addition or correction of material already printed. On the off chance that one of these items may be the very one that someone needs, I decided to try to get them in, somehow, at the very last minute. The oldest Bass item in N.C., the marriage bond of John Bass and Love Harris had to be reprinted, anyhow, because all printed versions of it are "translations" or restatements of the document, rather than literal copies. (Hathaway, Winslow, et al.) 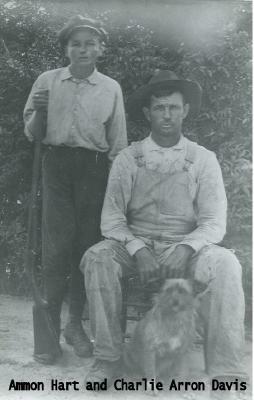 The fact of the marriage seemed more important than anything else until certain questions arose concerning descendants of John Bass and his brother Edward. Then it became very important to confirm the Nansemond connections of John. The Perquimans County items required little space. So, the rest of the items could be included. Please accept my sincere apologies for being unable to put them in alphabetical order; but it could not be done without reprinting more pages than we could afford. MVW has no idea what this means, but seem worthy of inclusion in view of the John/Edward controversy of 1999. Anecdote* 1687� In 1687 Deed Book 5 Part 2 "Orders" May 19 1687, Ann Harris, Love Harris, and Elizabeth Jennett acquitted of any wilfull neglect in death of an infant child of Ann Harris. 1693 Jean Harris age nine orphan of Richard Harris deceased with consent of mother Ann Harris bound to Malachy Johnston. January 6, 1693 Coroner requested a ruling on his fee in cases of death by misadventure, with specific reference to the accidental deaths of Richard Harris and his two children. Matter referred to His Excellency. [S361] Unknown subject Department of Cultural Resources - Archives and Records Section. [S362] Unknown subject unknown repository. [S503] Archibald Odum, Revolution, unknown file number, Copies of the family bible are in the pension file. [S61] 1920 Census;, No children shown even though both are in their forties. [S61] 1920 Census;, Impossible to make out her name. This is best I can do. No children shown even though both are in their forties. 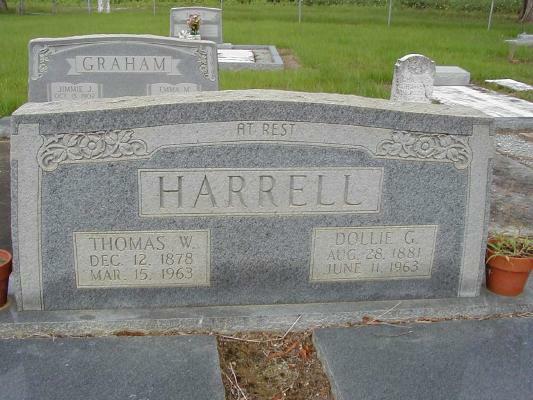 Death* before 1693� He died before 1693 at Nansemond, VA, Jean Harris age nine orphan of Richard Harris deceased is bound to Malachy Johnston. 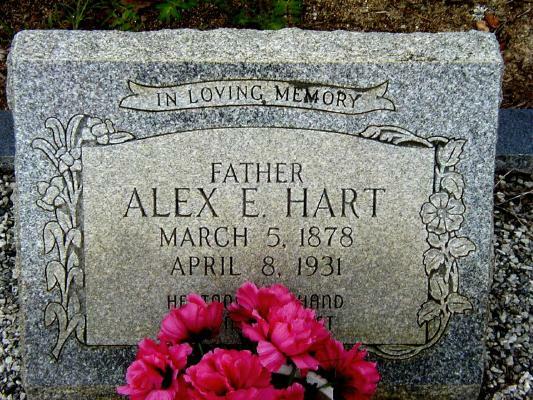 Burial* 1931� He was buried in 1931 at Hart Cemetery, Cochran, Bleckley County, GA.